Today's highest temperature was 19degrees Celsius. I could found some "Spring" around J-Hoppers Hida Takayama. This flower smells very nice. When I smell this flower's aroma I feel the spring has come. This might be the best flower in Spring! Do you know what flower this bud is? 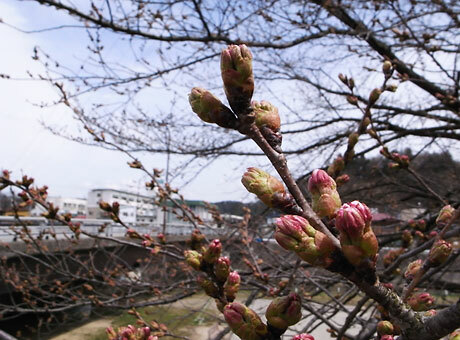 This is Japanese Cherry Blossom's bud. In Takayama, the cherry blossoms will be in full bloom in a few weeks.